Promotes the synthesis and regeneration of nerve fibers. 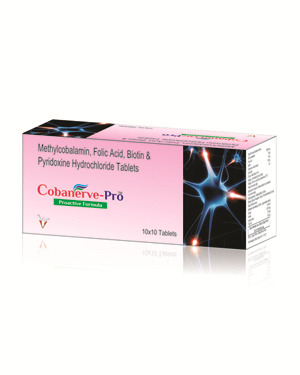 Improves nerve conduction velocity and neuronal function. Metabolizes neurodamaging homocysteine via cystathione pathway. Improves sensory,motor & autonomi nerve functions. Enhances myelin node genesis and nerves regeneration. Provides rapid relief against the painful neuropathies associated with high blood sugars and uremia. Promotes epidermal nerve fiber density in the lower extremity. Inhibits hyperglycemia-induced damage to peripheral nerves.